Have you seen owls have been everywhere the last couple of years. So I wasn't surprised when one of the expectant moms-to-be in my circle asked me to make her an owl cushion for her nursery, but not one that was ‘too cutesy'. 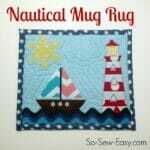 I've dabbled in applique before, and designed a couple of small mug-rug type projects for the Spring Mug Rug and the Nautical Mug Rug. They were really fun to make. But I really was making it up as I went along in terms of my technique, materials and especially my stitching. 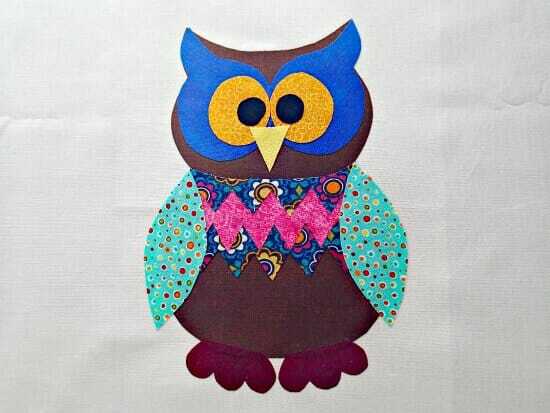 For this project, I wanted it to be really special, something I could be proud of for a new baby's nursery, and I wanted a really good owl applique pattern. 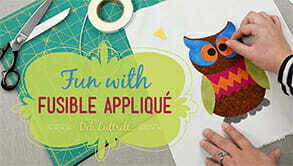 I'd had my eye on a course called Fun with Fusible Applique and remembered that it included Oliver the Owl as one of the class projects, so I signed up and I'm so glad I did. If you like the sound of this class and want to find out more, please use this link to purchase. As well as the excellent teaching on all of the materials and techniques, there are 3 class projects to work on. Oliver the Owl is the first one, then a fabulous winter snowmen scene which I'll be getting to hopefully in time for December, and a beautiful butterfly project which the instructor uses in a quilt as you go tutorial. 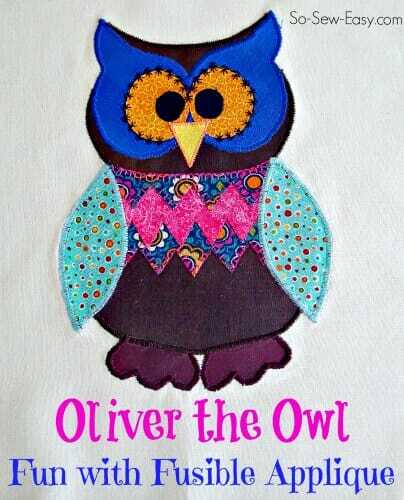 If I get round to the snowmen project, I'll share that one later, but for now, I made the Oliver the Owl applique pattern! The pattern for Oliver is included so I just had to decide what fabrics to use. 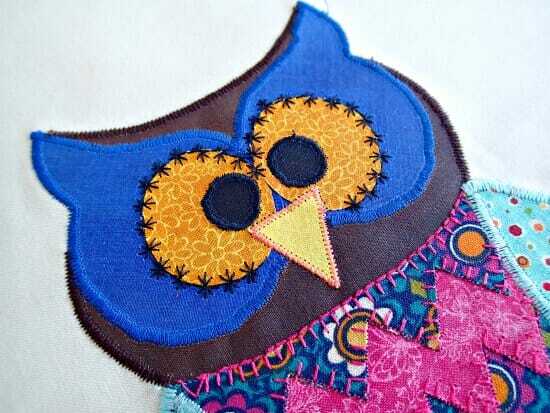 Here, you can go for a girl owl, or a boy owl and make it cutesy or not. It all depends on your fabric choices. I recently bought the Fat Quarter Mystery Box from Craftsy so I had a big box of prints to chose from, as well as some solids from my stash. 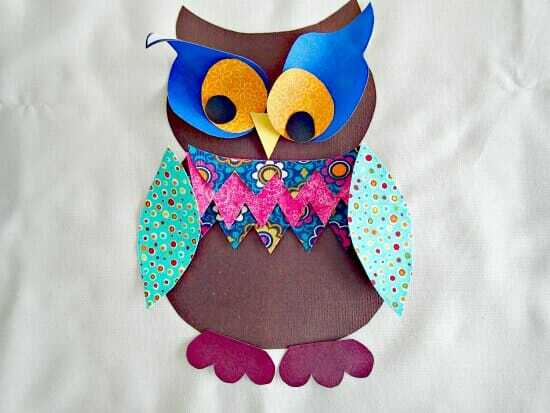 One of the reasons I love projects like this is because it only uses small bits of fabric, so I save almost all of my scraps knowing that one day they might be perfect for use as owl wings! I traced all of the pattern pieces onto my Heat N Bond fusible web and then ironed it to the fabric pieces. It only takes a few seconds. Once cool I cut them all out and put them roughly in place. Was I happy with the fabric choices? Still time to change them before anything became permanent. Everything is curling at this point because the backing paper is still in place. Once I was happy, I fused them all in place, layering them up using the template. 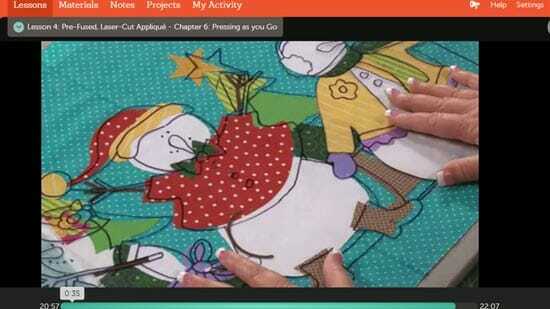 The instructor gives a really good tip on laying out more complicated designs using a plastic overlay and I'll certainly use that for the bigger snowmen applique. Have you ever tried out all of the stitches on your machine? I think mine has 70 or so, and I usually only use about 4. But what about the rest and what about variations in sizing? No one wants to practice on their real project and then decide they don't like it. So we learned about making a stitch reference chart. Here's mine – sorry, its not very photogenic, just intended for me, but I thought you might find it interesting. I really must make a neater one, one day. I sewed a lot of the stitches that looked like they might be right for applique, and tried them in various different widths and stitch lengths, writing down the settings next to the stitches each time. 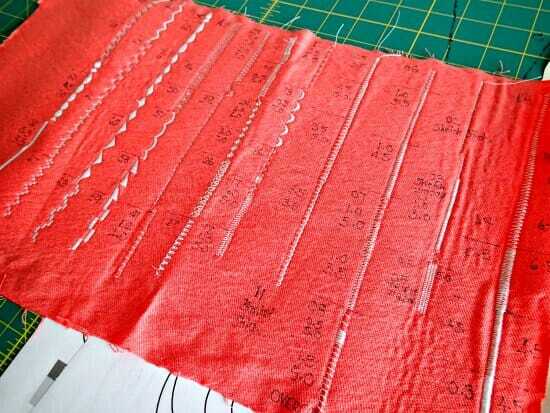 Now, when I want to do a satin stitch or a blanket stitch, I can simply refer to my chart and pick the size I want. 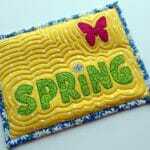 I used a combination of satin stitch and blanket stitch on this piece with varying stitch widths. Following the tips in the class really made a difference to my stitching this time, and I'm very happy with how he came out. As well as discussing stitching, there is a lot of information on threads to use as well as invisible thread, decorative threads such as metallics, and Deb does a beautiful job on the butterflies using a variegated thread. I didn't have any of these available so just used regular thread in colors, as far as possible, that matched my fabric. It was also my first time in using a proper stabiliser and I loved how much easier it was to stitch, how the fabric puckered less and how it was easier and smoother to turn curves with the stabiliser. I used the tear-away version and it just pulled off the back once I was done stitching. He turned out pretty neat. Making him into a cushion, or is it pillow? 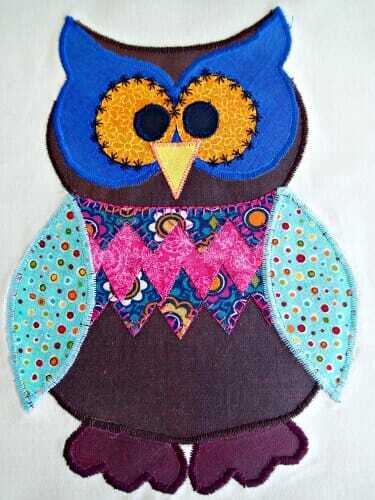 My next job will be to make him into a cushion or a cushion cover. I think if you are in the US, you probably use the term pillow, or throw pillow instead of cushion? In the UK, a pillow is only used on the bed to put your head on when you sleep, all others such as those on your sofa are cushions. Funny how we all speak the same language, but use different words. In fact, this whole thing became quite a debate on Facebook! Anyway, I'm going to look up a few simple ideas for how to make a cushion cover for the nursery and I'll work on him over the next few days. Your owl pillow is adorable! Okay, you talked me into this class. Your owl is so cute. Thanks for the discount on the class too! I have a good relationship with Craftsy because I do quite a few class reviews so they are happy to offer my readers a discount in return for the review. ts’ very good of them. Deby, Deb Luttrell is who we booked our cruise through when we came to visit the Caymens last February. Have not met her, but did meet her son at the International Quilt Festival in Houston last November. She has the most charming Southern accent and seems like a very nice lady. I liked the style of her class and learned a lot, so I now can be certain I’, not just making it up as I go along, but actually am doing the right thing and should get a good result.